Luxury Apartment! CITY CENTER !! AIR COND. - WI. FI - TOP LOCATION !! Property 2: Luxury Apartment! CITY CENTER !! AIR COND. - WI. FI - TOP LOCATION !! WELCOME HOME !! CITY CENTER AIR CONDITION BALCONY FREE WI-FI !! Property 4: WELCOME HOME !! CITY CENTER AIR CONDITION BALCONY FREE WI-FI !! 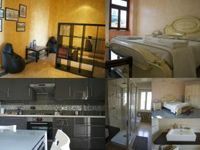 Property 11: At 20 mt from Piazza Statuto !!! Elegant home - 90 square meters into the old town - Air conditioned bedrooms. Property 12: Elegant home - 90 square meters into the old town - Air conditioned bedrooms. Property 32: Friendly, convenient to downtown, bright, Free WIFI, free parking. 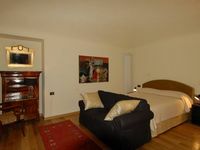 Property 35: Turin apartment "The ladybird"
Relax, cosy apartment with balcony near to the center for families and groups. Property 42: Relax, cosy apartment with balcony near to the center for families and groups. Do not hesitate to book this accommodation. It is a spotless, tasteful, quiet apartment on a lovely courtyard. The neighborhood is quiet and very convenient to the train station, park, town center and has a wonderful personality. What a fabulous find. We can't wait to return.